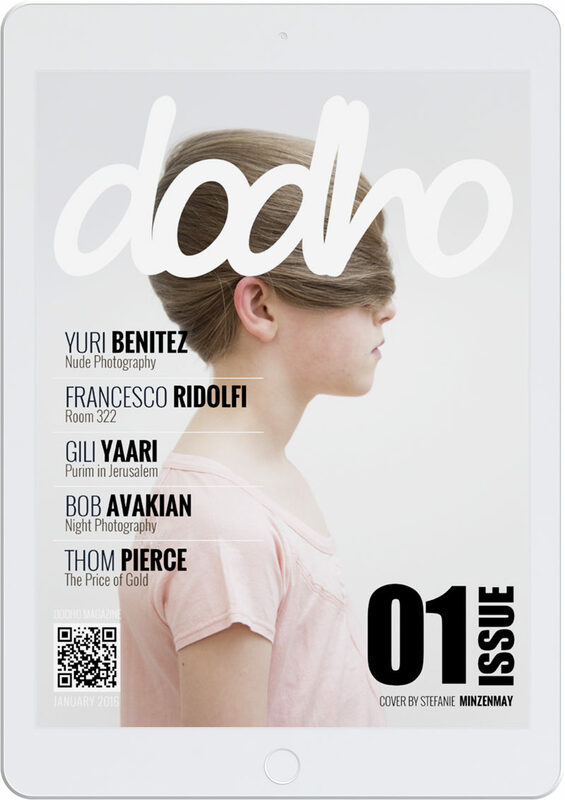 Dodho Magazine has become one of the most influential online magazines for contemporany photography present day. We are committed to discovering and promoting the best photographers around the world.Dodho Magazine is a free independent magazine. We live, breathe and move by the passion that awakes photography in all their ambits. ll photographers published in the dodho and online magazine, have been permitted by the author to be published and are protected under international copyright law. Dodho Magazine is highly respected among galleries and photography agencies all over the world. Our digital edition is designed to provide a great boost to your career allowing you to reach the right people at the right place and at the right time. Many published photographers have experienced a great increase of interest by their work and have received interesting offers of agencies and galleries. Annick Donkers | Cover | She is a documentary photographer from Antwerp, Belgium, who currently lives and works in Mexico City. After obtaining a master’s degree in Psychology, she decided to study Photography. She studied at different schools in Mexico and participated in an artistic residence program called Residencia Corazón in La Plata, Argentina.She received a grant from the Mexican Ministry of Foreign Relations in 2008 and was selected to participate in the 2008 Seminar on Contemporary Photography at the Centro de la Imagen in Mexico City. She has won both Mexican and international photography competitions such as Survival International UK (2015), San José Foto Uruguay (2016), the Sony Awards organized by WPO (2016) where she was awarded the third prize in the Professional Sports Category, MIFA awards in Russia (2016).She has been published in Belgian, Mexican, and international newspapers and magazines. She currently works on documentary stories for VICE and the Mexican online magazine Tercera Vía. Her work has been exhibited in Belgium at the Mexican Embassy, the Flemish Ministry of Foreign Affairs, the Mestizo Arts Festival in collaboration with the Mexican Embassy, and CONACULTA; in the Netherlands at the Wereldmuseum in Rotterdam; in Mexico at the XIII Biennial of Photography, Fotoseptiembre, the Academia de San Carlos, and the Centro Cultural de España; in Argentina at the MUGAFO in La Plata; in the United States at the Museo Cultural in Santa Fe as part of the AHA Festival of Progressive Arts; and in the United Kingdom at Somerset House as part of the Sony Awards 2016 competition, among other places. Marinka Masséus | Silent Voices | After finishing her MBA, Marinka’s studies in Buddhist Psychology guided her philosophical journey, and the Photo Academy in Amsterdam stimulated her to channel her concepts and feelings into images. Her photography revolves around people and is a constant reflection of her passion and fascination for human nature and the way we live our lives.Gender equality is a main theme running through Marinka’s work. Currently she is working on a series on body image and in October 2016, she will travel to Iran for a new project. Marinka’s acclaim includes: 2x Sil- ver winner Px3 “Prix de la Photog- raphie Paris” 2016 – Bronze winner Px3 2016 – Px3 Exhibition in Paris – 2x Editors’Pick LensCulture – 1st place Monochrome Photography Awards – Photoville 2015 New York – 2x winner 2nd place MIFA “Mos- cow International Foto Awards” – Featured at Rotterdam.Photo – “IPA Best of Show Exhibition” New York – 2x winner 2nd place IPA 2015 – Gold winner at Px3 2015 – 3x Silver and 1x Bronze winner at Px3 2015 – Exhibition at WM Ga- llery, Amsterdam – 1st place Inter- national Color Awards – Featured at the Royal Geographical Society in London – Linden Museum in Stuttgart, Germany – New Dutch Talent 2014. 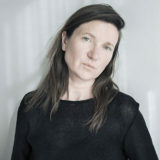 Marja Schwartz | Project Himba Village | Born in Germany in 1964, Documentary and Travel Photographer Marja Schwartz is an autodidact photographer. When not on the road she resides in the picturesque village of Lake Tegernsee south of Munich, Germany.Graduated and working as interior designer, project manager and real estate agent, Marja left the business world in 2012 to pursue her passions for travel and photography. From this day on Marja decided to dedicate herself entirely to photography. She views photography as a method of communication, a way to share and celebrate the understanding and love she has developed for the places, the people, the cultures, the nature and the wildlife she encounters on her travels. 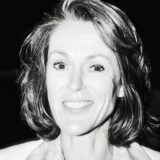 Today Marja works as a freelance photographer on editorial and commercial assignments world- wide. 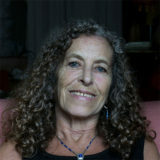 Her range of subjects is fairly broad, but whether Marja is photo- graphing nomadic tribes in Namibia endangered mountain gorillas in Rwanda, Indian street life in the holy city of Varanasi or dreamlike landscapes in Myanmar, her common aim is always the same to experience new things and to capture the personality and charm of each new location as only someone who truly appreciates it can. 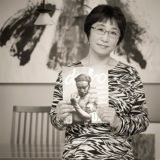 Michiko Chiyoda | Oshichi | After graduating from a college of art, Ms. Michiko Chiyoda started her career as a graphic designer of an advertising agency, and now are in the position of director of the marketing communications department of one of large optical equipment manufacturers in Japan.She has been quite active for creating her own photo works. Since the first personal exhibition in 2001, she has held 4 personal photo exhibitions and taken part in group’s more than 10 times.She has expanded such her activity even overseas starting from the opportunity of participating in Photo Reviews in Arles and Huston, provided worldwide web magazines with her works.She is now proceeding some projects, and in parallel as social contribution, recording and distributing photographs of traditional cultural activities in her local area for reviving their popularity. One day, Japanese photographer Michio Chiyoda came across a doll that had been used in ‘Ningyo JORURI’ Puppet Theater. The doll was so captivating that Chiyoda’s eyes were glued on ‘it’. ‘Oshichi’ is a name of the doll and ‘she’ played as a 16-year- old girl who was put to death by burning at the stake for committing arson. Oshichi did arson because she was dying to see her lover.The play is a Japanese traditional puppet drama, based on the historical fact from the Edo period. Oshichi met him at a temple where she and her family took shelter as they lost their house in the fire one day. The young couple fell in love with each other soon. But Oshichi and her family had to leave the temple when their house was rebuilt. Oshichi missed him so much and started to think that she could see him again if another fire occurred. So Oshichi torched her house, hopefully to see him but she was caught by a police after all. After Oshichi was executed, her lover made a pilgrimage throughout the rest of his life. Ralph Gräf | Vacancy | When his career as a cell biologist brought Ralph from Munich to Pots- dam near Berlin, he found a great creative environment to spend a huge part of his spare time for his creative talents. Together with ten friends he is cofounder of the “Fotogalerie Potsdam” a successful gallery project to promote contemporary artistic photography. With regard to his photographic subjects he focuses on his four serial projects (“The Traveller, “Bauhaus”, “With A Holga Through Bran- denburg” and “Vacancy”). Since 2010 he presented his photographic projects in nineteen well-acclaimed exhibitions in Berlin, Potsdam, Rangsdorf, Munich, Neubrandenburg, Gorzow Wielkopolski (Poland) and Milano (Italy). He won the Arts Award at the the 4th “Kunstallee Potsdam” (an arts fair) in 2011 and several of his photos won prizes and received placements in national and international photo contests such as the Trierenberg Super Circuit, Al-Thani Award, DVF contests and the Sony World Photography Award.